Jane Wiggins MBA, CFM, DMS, MInstAM, BSc (Hons), FBIFM has over twenty-five years' experience of facilities management, project delivery and provision of business support services in major blue chip organisations and the education sector. With expertise in operational and strategic aspects of facilities management, Jane speaks and writes extensively on the subject and has taught many hundreds of Facilities Management students in past 10 years, including the winners of the coveted BIFM Student of the Year annual award from 2004 to 2010. Nominated as one of the Top 20 Most Influential Women in FM in the UK, Jane is Director of FM Tutor & Associates Ltd, a recognised BIFM tuition centre. She is also an Associate Tutor and dissertation supervisor for the MSc in Facilities Management at the College of Estates Management. She was Chair of the British Institute of Facilities Management Education special interest group from 2003 - 2008. 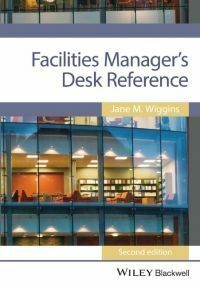 Formerly Programme Manager at BPP Professional Education, Jane is author of the BPP BIFM workbooks, several case studies and articles on FM across range of publications such as Croners, EFMR, Facilities Management Journal, and FM World.